For a long time hospice and palliative medicine have been wearing the mantle of outsider; never really understood by the rest of health care, or even the public, a growing group of clinicians and advocates kept pressing to deliver great quality and compassionate care. You might even hear insiders lament about how it is tough to get any respect or attention from some of the bigger, powerful organizations in health care locally, regionally and nationally. Well I’m here to tell you, we have made a BIG breakthrough, because the cool kids are starting to ask us to come sit at their table. But this doesn't happen for free. To get here, it has taken a lot of volunteer sweat equity and time, but now as our field begins to play a larger role, more resources are needed. One critical area is our participation in the American Medical Association. If you were at the recent Annual Assembly of AAHPM and HPNA in San Diego, you likely heard a few requests to join the American Medical Association before April 1st. You may have read this excellent post by Dr. Paul Tatum on GeriPal, or past AAHPM President Dr. Ron Crossno on the AAHPM blog. Both have stellar examples of why every physician member of the AAHPM needs to sign up for the AMA. If you really don’t have time to read them, I’ll make it simple. 1. We are making a difference. Our AAHPM delegate is Chad Kollas, MD, FACP, FCLM, FAAHPM and he is currently chair of the Pain and Palliative Medicine Section Council. What a great leadership role to have, and such a sad one to have to abdicate. We are also influential in the House of Delegates. See the AAHPM post for more details. Because of our visibility in the AMA, other organizations are realizing the importance of collaboration with a group that crosses so many different specialties. And when we get involved with organizations we can help make sure their policies and advocacy efforts improve care for the seriously ill and those at the end of life. If you sign up for the AMA just this year, you are helping people you will never ever meet. You’re a pretty great person. 3. We’re on probation (and we already used our ‘get out of jail free’ card). To cast a vote, chair committees, and essentially participate in AMA leadership we need to have 20% of AAHPM members be a part of the AMA. If we don’t meet this threshold by April 1st, then all the progress we have made in the last 5 years when we got an exception*, start to erode. *Yes we already asked for a pass once and it was granted. Not so sure they will let that happen again. 4. I never ask someone to do something, if I have not done it myself. it is a pretty small ask. For just over $1 per day you can sign up for the AMA (and join the AAHPM if you have not done that either!) by April 1st, so we can show we really care about changing palliative medicine in the United States. Even better after you sign up, convince a colleague to follow through as well. To make sure your membership is counted, please do two things - 1) make sure your primary specialty is listed as 'palliative medicine' with the AMA. You can do this by phone or on the Online Data Collection Center (AMA) and 2) complete this 20 second survey with AAHPM. Remembering Palliative Care Pioneer: Marion Pohlen Primomo, M.D. When I think of people who have paved the way to make my professional career possible I think of Dr Marion Primomo. Not only was she one of the first women physicians; It is fair to say that she is the mother of the hospice movement in Texas. She was one of the founders of the first hospice in San Antonio in 1978. She was a Founding Member of the Academy of Hospice and Palliative Medicine and the International Association of Hospice and Palliative Medicine. In the 1980s, she had established an elective for medical students on their family medicine rotation in which medical students visited patients on hospice and their caregivers. In the late 1990s she led the efforts to establish the palliative care fellowship program at Universityof Texas Health Science Center at San Antonio (UTHSCSA). The fellowship was a possibility because of Dr. Primomo’s leadership to combine efforts from community hospices, UTHSCSA and the Veterans Affairs. She served as the first fellowship director. Dr. Primomo With Dr. Mark Prange. As a fellow, I interacted with Dr. Primomo teaching palliative care to the residents, when she was well into her 80s. She was always very energetic and ready to teach, she would have already read the latest article of the New England Journal or other journal that have been published that week. She taught us about opioid conversions, gave us a detailed palliative care must reads list, and more importantly she inspired us to be better healthcare professionals and human beings. I still think of her as the type of person I want to be “when I grow up”. You can learn more about the history of palliative care in Texas and get a sense for the wonderful person Dr. Primomo was in this YouTube video of her February 2008 Grand Rounds. The quality of the video is a little bit grainy but you can hear her well. Dr. Primomo was an outstanding mentor, teacher and clinician. Her efforts, vision and uncompromising passion have set the foundation for us to continue growing the programs in palliative care medical education and making it possible for us to have a strong palliative care fellowship that today is one of the largest inter-professional fellowship programs in the nation and a well-established clinical program where many patients and families find comfort and symptom relief. Rest in Peace Dr. Primomo. I hope you know that you have paved the way for us to continue to make a difference in the lives of those who are seriously ill, their families and ourselves. You can see Dr. Primomo’s obituary and sign the memorial guest book. Palliative care is greater than palliative care. For me my experience in Palliative care has been the icing on the cake as far as my medical practice and my life. I have found great fulfillment and I see great potential in hospice and palliative care. As palliative care physicians, nurses, social workers, chaplains and even volunteers we have gotten a peek to an aspect of living that we can explore further. Palliative care is actually service to others and in the service to others is where we find ourselves. We find our spiritual selves; we find our answers to our own questions. Palliative care in giving good symptom control, in fostering good communication, in good ethical practice and in looking out for the spiritual side of life; can assist us in overcoming the fear of death. And in making death a safe, fulfilling and enriching experience not only for the dying patient and their family but also for the physicians and nurses caring for the patients. Hopefully many of you are arriving (or have already arrived in San Diego) for the AAHPM/HPNA Annual Assembly. I love this conference and this is my 11th year in a row, that I have been lucky enough to attend. There is great knowledge and wonderful camaraderie here, and I want to make sure that no matter where you are, you can take advantage of all this week has to offer. If you are at the conference, please consider using Twitter as a way to spread information. Every year participation has grown and diversified way beyond the walls of the conference halls. We've talked a lot about the benefits of Twitter at a Medical Conference before. Your participation really makes this a success. There is a large community of advocates who look for good material from HPM professionals to pass on. So sign in and ask for your password if you forgot it, and began re-tweeting, and engaging. The hashtag to use this year is #hpm14. You can see the latest tweets using the hashtag even with out a Twitter account. Also don't forget to check out the AAHPM blog, AAHPM Facebook Page, HPNA Facebook Page, and Pallimed Facebook Page for updates throughout the week. Of course, liking, sharing and engaging on these platforms help spread the good information that we all care about. And don't forget the Pallimed / GeriPal Party on Thursday night. Let us know if you are coming, and follow #hpmparty on Twitter for more up to date details that evening. The annual Pallimed / Geripal party is back on for this year's AAHPM/HPNA/SWHPN 2014 Annual Assembly. We are going to do a similar progressive party as we did at the 2013 annual meeting in New Orleans. What does this mean? Basically we will start off at the Field Irish Pub at 9pm on Thursday March 13, and as the evening progresses, we will be moving to different locations. The only way to find out where we are is to use social media and follow on of the Pallimed/Pallimed feeds, or the #HPMparty hashtag. 544 Fifth Avenue, San Diego, CA 92101. This morning while browsing through my New York Times app (I’m so modern! 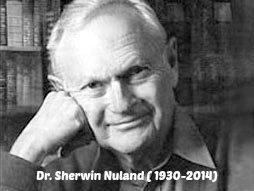 ), I was saddened to see the obituary for Dr. Sherwin B. Nuland, who wrote the impressive and ground breaking 1994 National Book Award winner, “How We Die: Reflections on Life’s Final Chapter” (Amazon Affiliate Link). I know many hospice and palliative care professionals likely have this black and white paperback sitting on their bookshelf. Maybe they picked it up at a used book sale like I did, or maybe it was passed onto them by a mentor, but I wonder how many of the current practicing generation of professionals have actually read this seminal work? I read it in 2004 when I was a hospice and palliative care fellow and I was so hungry for any knowledge about how to be a better doctor for people at the end of life. It may be hard to believe, but in 2004 there wasn't a lot of readily available information like we have seen in the past few years. The lessons from the book still resonated, even though the book was a decade old at the time I read it. As a surgeon he recognized that he had been fighting against death and instead over-medicalizing this universal human event throughout his career and was willing to say it publicly and call out the medical establishment for doing the same. 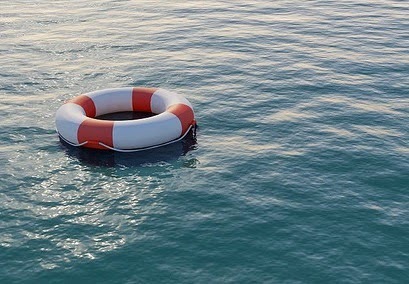 The New York Times obituary points out that Nuland himself worked hard to give his brother hope for cure and survival before his death in 1990, which is a familiar story to anyone who has ever cared for a patient with health care professionals in the family. The book rising to national prominence came when the country was grappling with issues of medical care and control over the end of life. If you know your end-of-life ethics history you will obviously recognize the year 1994 for its significance in ushering the United States first voter approved initiative for physician aid-in-dying with Oregon’s Death With Dignity act. (It was challenged in the courts and did not become implemented until 1997.) It was also not long after the Patient Self-Determination Act (1990) highlighted the need for advance care planning, and other important ethics cases such as Dr. Jack Kevorkian and Terry Schiavo. One passage that stood out to me in my early career is his description of The Riddle. I saw this in myself as a medical resident looking backwards and have seen it since practicing as a palliative medicine doctor. If you decide to pick his book up and give it a fresh look now that it is 20 years old, let me know what you think of it. Maybe we could have a historical book club? I’m know I’m not alone in pining for in-depth portrayals in mainstream culture of the complexities in caring for people near the end of their lives. Working in palliative care and hospice allows us to witness (and sometimes be part of) wonderful stories of love, forgiveness and redemption. Stories that would seem to fit in any high quality film or TV show come naturally in our field. So tonight when the Academy Awards are being handed out, keep an ear out for Prison Terminal: The Last Days of Private Jack Hall. It may only be mentioned right before a commercial break, or not at all on the telecast, but it is something any hospice advocate should know about. This film was featured in the early stages here on Pallimed by Dr. Holly Yang back in 2011 when Edgar Barens was still developing financing for the film. Although the initial Kickstarter did not reach the funding goal, Mr. Barens kept at it. The Oscar nominated film for Best Short Subject Documentary features the story of Jack Hall who is confined at Iowa State Penitentiary for life. With the aging prison population, hospice prisons are becoming more common, the most famous (if you can call it that) is Angola Prison Hospice, which was featured in another film by Edgar Barens. The film has been getting some high praise for a intimate look into the tough subject. While a few prisoners do get parole or compassionate release if they are dying, the chances are much greater that they may die in prison if they are in for life or a very long sentence. I realize many would think there is not problem with someone dying in prison as part of the ultimate punishment for the crimes they have been sentenced for. But when you watch films like Prison Terminal or the other two documentaries by Mr. Barens on the subject (Angola Prison Hospice: Opening the Door and A Sentence of Their Own), it can really make you think about the human condition and the role of prison and redemption in challenging new ways. You can catch the film on HBO at the end of March and I really hope you do, so we can have a great discussion about it afterwards here.